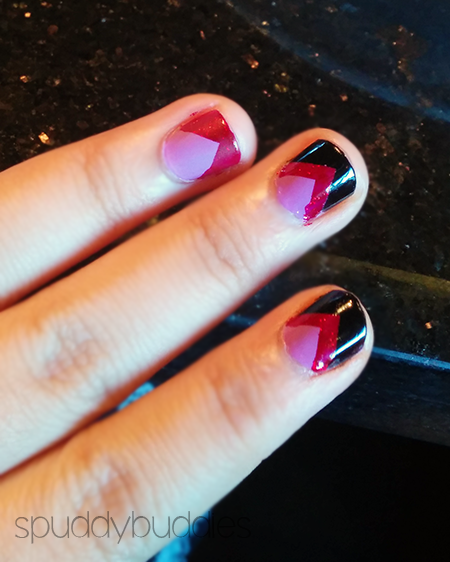 But anyway, I broke the tape out and used it for my first nail art design since arriving in California. Yay! 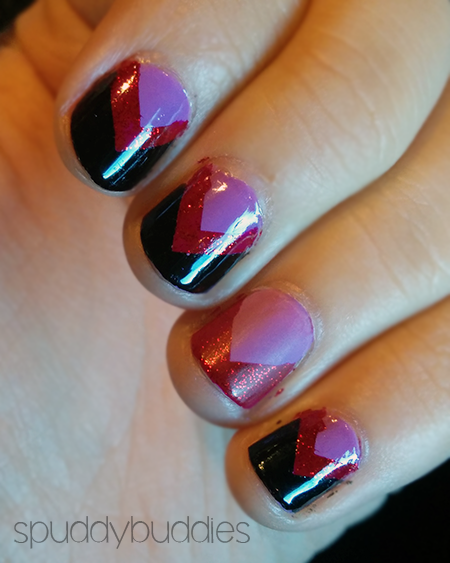 They're normal V-tip nails but the colors I used happened to look like a cheerleader's skirt thus the title of my post. Right hand pictures are usually always weird. 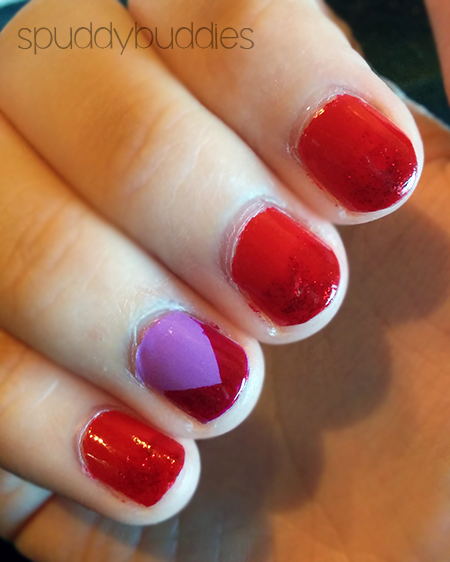 Here I used China Glaze - Salsa, China Glaze - Ruby Pumps and Essie - Play Date (the lovely lilac). And here is my right hand. 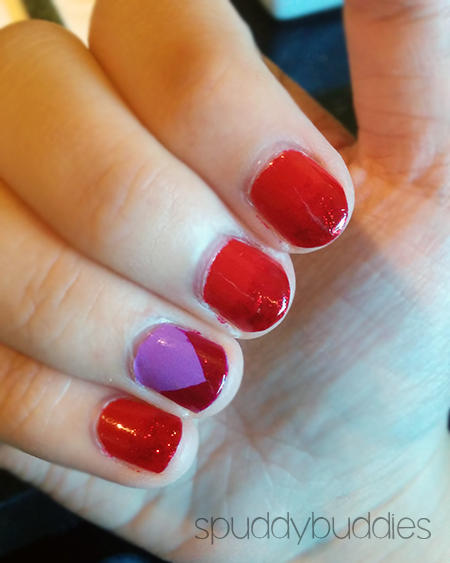 Here, I used the same colors - China Glaze - Salsa, China Glaze - Ruby Pumps, Essie - Play Date and Orly - Liquid Vinyl. 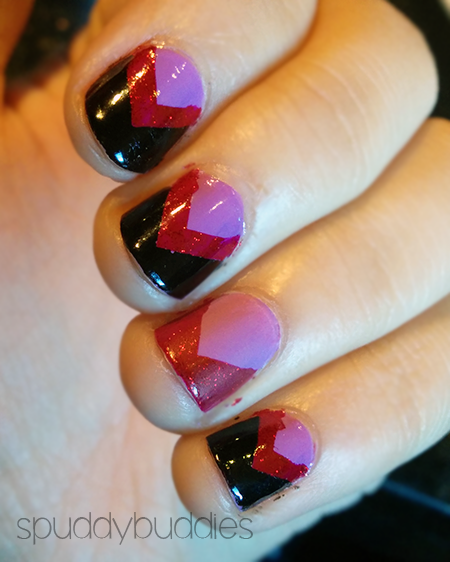 I'll be blogging on and off here because apparently I just don't have enough nail posts to put up. Okay, I do have quite a few pictures and I've been doing new designs (yay me) but with school and life and general lack of motivation to edit pictures, the posts are seriously lacking.